I shared a while back about how I purchase a whole pork loin at Costco to save money on our pork chops and pork roasts. The pork loins cost around $2-$2.50/lb which is great savings over the $4 a pound I see for pork chops and roasts. 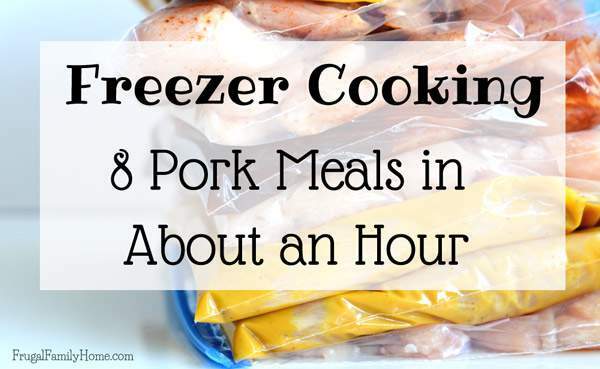 You can really save a good chunk of change by cutting up the pork loin yourself and making these freezer cooking pork recipes. I purchased an almost 8-pound pork loin at Costco and made 8 recipes out of it. 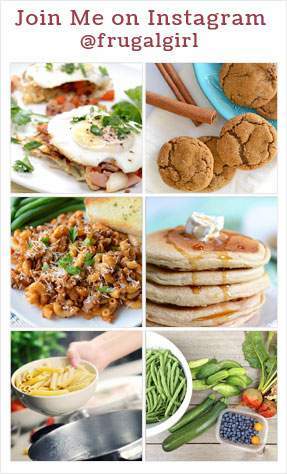 All of these recipes are basic add the sauce or seasoning and then add the meat to the freezer bag. Lots of people call them dump recipes because you just add the sauce and dump in the meat and then freeze. Then you thaw and dump them into the crock pot to cook. But dump recipes just doesn’t sound very good at all. At least not to me so I call them meat freezer packs. I know, it’s not very creative but a better than dump recipes. My pork loin cost me about $15 and the other ingredients for the meat packs cost another 5-6 dollars. I had all of the seasonings and basic condiments already in the pantry. Making the cost of these 8 meat packs right around $21. Which works out to be $2.63 each for our family of 4. With the roasts, we can often get one or two meals out of them too. Making it even less expensive. I also ended up cutting the pork chops a little thicker this time. I think I could have actually gotten 9 meals out of the pork loin, but I wanted to show more the thickness other families might like to eat. You could also cut the pork chops and freeze them and use them in my pan fried pork chop recipe too. Some of the links below are my affiliate links, when you purchase through them I can make a little money at not extra cost to you. See my disclosure policy for more information. Before I cut the pork loin, I prepare all of my freezer bags with the name of the recipe. I also add all the ingredients for the marinade into each bag and place it into a big bowl so the bags don’t tip over and spill. But these freezer bag holders look like they would work great too. Then I cut the pork loin up into two roasts, pork chops, and diced pork for the sweet and sour pork. I made this video to show you how I cut the pork loin and divided it up for the freezer meals. I’ve put together a printable pdf of all the recipes for theses pork freezer meals. Right now you can grab it for free, just click the button below. 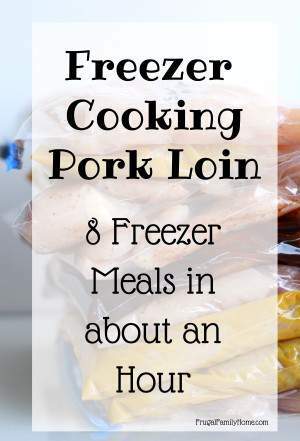 I also put together a freezer cooking pork loin ebook. It includes all the recipes listed above with side dish ideas, a shopping list, and tips and tricks to help you with your freezer cooking session. All of this in one printable pdf you can download. You can purchase it below, just click the buy now button. Don't want to spend all day freezer cooking? I've got a solution for you, with batch freezer cooking. 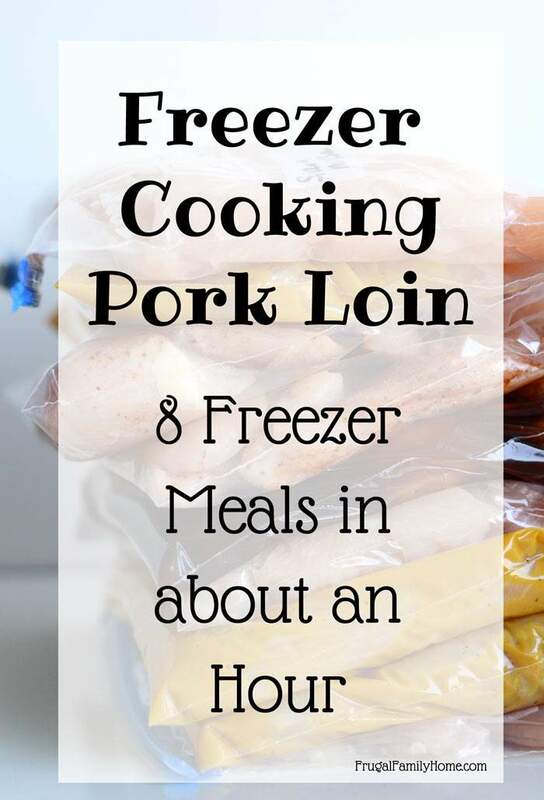 In this ebook, I'm sharing 7 recipes to make 8 pork freezer packs. 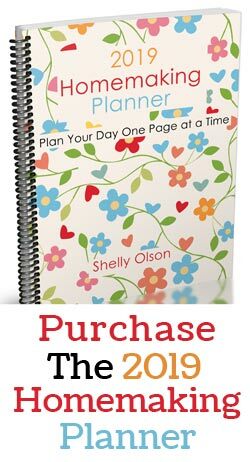 Included in the ebook are a shopping list, the recipes and my freezer cooking tips to make the process go smoothly. With each recipe, you'll get the instructions for making the freezer packs, a list of any addition items needed to prepare the recipe and side dish serving ideas too. I hope this was helpful in showing you just how easy it is to cut your own pork chops and roast from a pork loin. I know over the years it has surely saved us lots of money. If you know someone who would love to read this too. Please be sure to scroll down and share with your friends. The social media buttons below make it super easy to share it. Thanks so much for helping me spread the word on this way to save money. Thanks so much for a really cool-looking freezer plan. I eat vegetarian myself, but like to keep ready-to-prepare meats like these in the freezer so that I can easily prepare dinner for my husband and guests while cooking veggie for the rest of us.